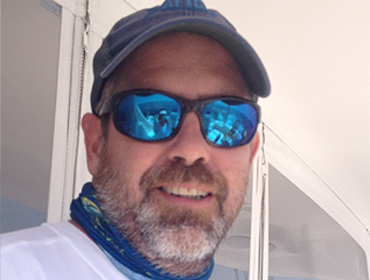 Mr Takacs joins Gray Fish Tag Research program with a history of conservation, education, fishing and yachting industry experiences. Starting his professional career as SCUBA instructor, resort operations specialist and boat captain, president of the watersports association, advisor to the department of environmental and coastal resources, national parks committee and rescue association of the Turks and Caicos Islands, Carter began his big game fishing and tournament involvement in the mid 1990’s while residing on the island of Providenciales. Departing to enter the yachting industry and obtain licensing as Yacht Master Offshore, the allure of Costa Rica’s natural bounty lead him to his current post where he also assists in coordination of Marina Pez Vela’s big game tournament events, charter services and continues to volunteer as an active member of the Board of Directors and fishery advisor for the organization FECOP (Federacion Costaricense de Pesca). Carter is very much looking forward to being part of the launch of this open database fish tag research program in Costa Rica and to the spread of emphasis to near coastal resources that as well as the pelagic initiatives includes Rooster fish and Snook.